Today’s laptops have more power, speed, storage, and battery life than ever. But you don’t need every last feature, CR says. Laptops long ago replaced desktops as the go-to computer for most consumers. And many of today’s laptops are lighter and more capable than earlier models. 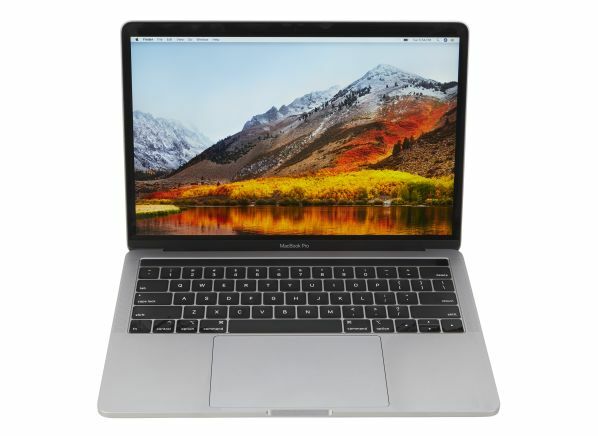 For just a few hundred dollars, you can pick up a laptop that streams video from Netflix, handles spreadsheets, and breezes through basics, such as writing emails and browsing news sites. “You’re going to be floored by the new laptops if you haven’t bought a computer recently,” says Richard Fisco, an electronics testing program leader at Consumer Reports. But computer shopping can be a confusing and jargon-heavy experience. When you buy a laptop, you often face decisions about individual components in the device. Will you benefit from the most advanced Intel Core i9 processor? Will you be happier with a traditional hard drive, or should you spring for one of the newer solid-state drives? And which screen, or display, resolution is best: high-definition or Ultra High Definition (4K)? A few key decisions can cost—or save—hundreds of dollars, even between similar-looking machines. To help, we’re going to look at each laptop component separately, answering a basic question: What’s the best choice for most people? Instead of a traditional hard drive, many of today’s laptops have a solid-state drive, or SSD. An SSD doesn’t have to spin a disk like an old-fashioned LP to retrieve data, which means it can copy Word files or open apps quickly. Compared with a conventional hard drive, SSDs save on battery life, too. And they may last longer because they have no moving parts to wear out. The catch? SSDs are expensive, and they tend to store less data. Laptops with older hard drives often have at least a terabyte, or TB, of storage, which is 1,024 gigabytes. Only the priciest laptops have 1TB SSDs. The best choice for most people: An SSD is a worthwhile upgrade, Fisco says—the advantage in speed will be noticeable. And if you’re looking for a lightweight, high-performing laptop, all your options may come with SSDs. 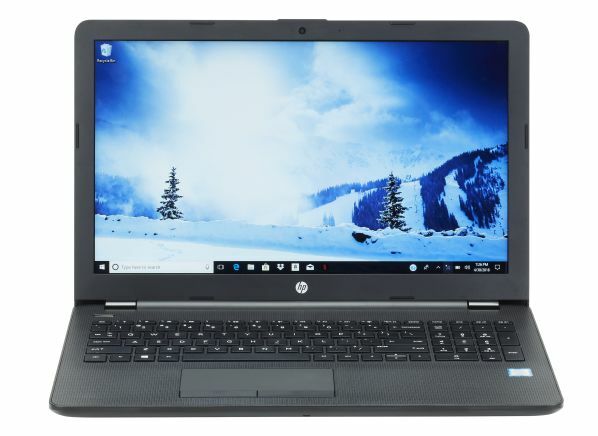 However, the choice ultimately depends on your priorities: You can save money by buying a laptop with a traditional hard drive (such as the HP model shown below). It will be heavier and slower, but as a bonus you’ll get more storage. Even laptops with SSDs vary a lot in how much storage they provide. These days, many of the biggest files on home computers are photos and videos, transferred from cameras and smartphones that shoot in Ultra HD (4K) resolution. Ten minutes of 4K video of the kids recorded with your iPhone can eat up nearly 2GB, according to Apple. Music collections can also take up a lot of space. These points argue for choosing the biggest possible hard drive, right? But if you use Apple Music or Spotify, you might not want to store thousands of music files on your computer. And Apple’s iCloud, Google Photos, and Microsoft OneDrive will help you offload your pictures, too. Apple, for example, gives you 5GB of storage free of charge; $10 per month will get you 2TB. And you can get unlimited free storage on Google Photos if the images are 16 megapixels or less in resolution—fine for most uses, according to CR testers. That 256GB is enough for macOs or Windows operating systems (which take up a minimum of 20GB on their own), plus a full assortment of applications and a variety of files. If you don’t need to store many photos, videos, or music files, you can make do with 128GB—which could save you about $100. Processors, aka CPUs or chips, are the brains of any laptop. 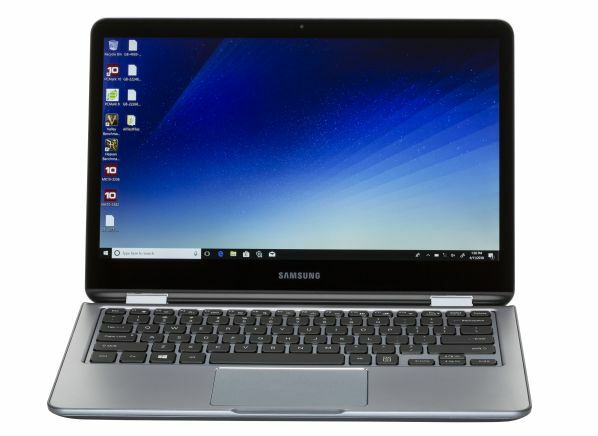 The majority of mainstream laptops in stores and Consumer Reports’ ratings use Intel Core processors, although you’ll also find laptops with less expensive Intel Celeron or Pentium processors, and processors made by AMD. There are primarily four Core models, but they have one thing in common: They combine multiple processing units, or “cores,” on the same CPU. These chips are, from least to most powerful, the Core i3, i5, i7, and i9. The Core i7 and Core i9 are aimed at professionals and demanding gamers, so everyday consumers can safely focus their attention on the i3 and i5. The best choice for most people: The Core i5 can handle everything most users will throw at it, and more. The i5 is a “quad-core chip,” with four separate processing units. “You can think of it like having multiple workers,” says Antonette Asedillo, who oversees computer testing for Consumer Reports. “Each worker can be assigned a portion of a project and work simultaneously, making the process more efficient.” Not all applications take advantage of the multiple cores to speed their operations, but many do. The Intel Core i3 is no slouch, and it would work fine for most consumers. But we’ve found that it tends to wind up in laptops with lower-end specs, such as older mechanical hard drives and smaller amounts of memory. Do I Need Massive Memory? After wading through multicore processors and solid-state drives, it might be a relief to hear that things are simpler with computer memory, or RAM. The basics haven’t changed in decades: Memory is where your computer temporarily stores files that it’s working on. Generally, more RAM makes things run faster. But if you’re just using a browser and reading email, you need less memory than if you’re using big graphics programs. The best choice for most people: 8GB is the sweet spot, our testers say. 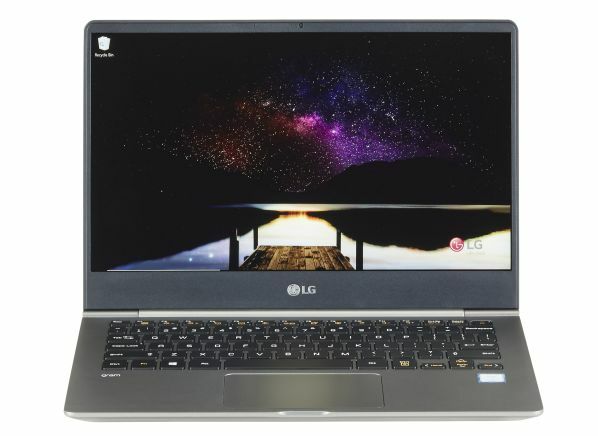 (The LG model below is one of several models in our ratings that has 8GB of memory. It's also one of the lightest models in our ratings.) That lets you keep multiple tabs open in Chrome while also listening to music in Spotify, for example. Even “heavier” apps, such as Photoshop, will usually run fine with 8GB. But if you’re a gamer or graphic designer, go for 16GB. Should I Get a 4K Display? Almost all larger TVs come with 4K screens these days, and so do a lot of high-end laptops. These screens have four times as many pixels as HD (high-definition) screens, and there are advantages to that: Everything will look somewhat sharper, it makes it easier for avid photographers to make precise edits to their photos, and many games and movies may look more detailed. But there are downsides, too: 4K displays can cost hundreds more and make your battery drain faster. The best choice for most people: A full HD display (with 1920x1080 resolution) is the best bet, our experts say. On a laptop’s small screen, the difference in sharpness is subtle, and for most people the savings in money and battery life are probably more important. But if you buy a high-end machine with an advanced CPU and lots of memory, a 4K screen may come with it. In that case, relax and enjoy the added sharpness. A lost or stolen laptop can let criminals see your browsing history, bank account totals, credit card numbers, and more. That’s why security experts have spent years urging consumers to protect their laptops with a password. But certain new laptops give you “biometric” security options beyond typing in a long string of characters—fingerprint scanners and facial-recognition software. Fingerprint readers may be familiar from your smartphone. They work the same way on a laptop—touch a special keypad with one of your fingers and the screen unlocks. This option can be found on certain Apple computers, as well as midpriced Windows models. Facial recognition uses the laptop’s built-in webcam to confirm your identity and unlock your computer. Whether you use a fingerprint scanner or facial recognition, you’ll still need to establish a password as a backup. We’ve recently upgraded our laptop ratings to help consumers make better, more informed choices. Going forward, the Overall Score will reflect not only the data recorded by testers in our labs but also predicted-reliability and owner-satisfaction data collected through surveys of CR members. We believe the result is a more holistic picture of product quality and better reflects how likely you are to be happy with a buying decision. Another change worth noting: Based on the latest survey data, Surface laptops made by Microsoft can once again be recommended by CR—their recommendations were removed in 2017 following that year’s survey. “Microsoft’s reliability is now on a par with most other laptop brands,” says Martin Lachter, a senior research associate in our survey department.